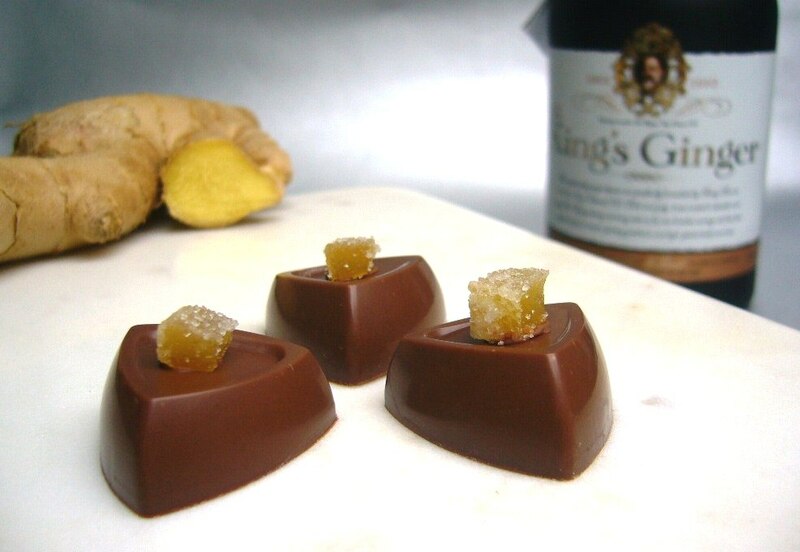 Ginger chocolates – a makeover! It’s official – the ginger truffles have become ginger triangles. Although the rustic-looking, beautifully imperfect old style truffles were a firm favourite, the new three-sided ginger choc is definitely an improvement. Don’t they look positively regal on the marble board? The round truffles, with their thin milk chocolate shell didn’t travel very well; milk chocolate is softer than dark, meaning it’s easier to break, especially going through the rough and tumble of our good old Post Office. So, they now have a sturdier triangular shell. 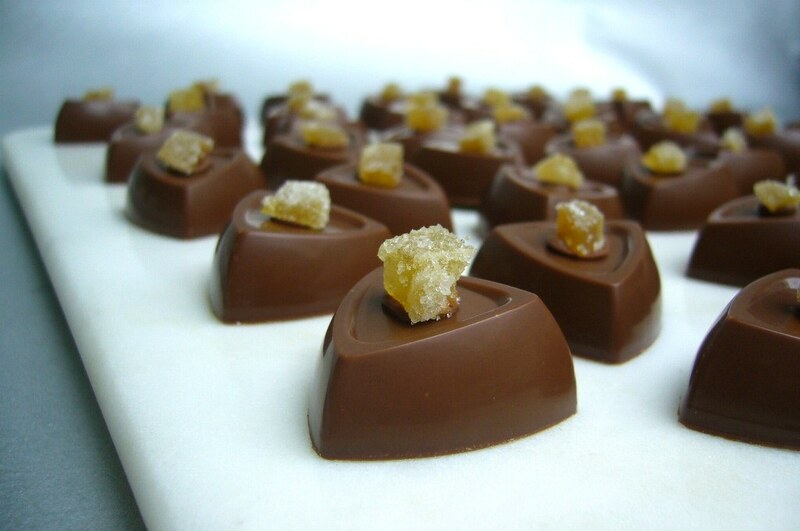 The chocolates are still studded with tiny pieces of crystallised ginger, within a dark chocolate ginger-infused ganache. They still have their lovely rich milk chocolate shell, and are still crowned with that signature cube of crystallised ginger. They’ve just had a thoughtful makeover and are all the happier for it.